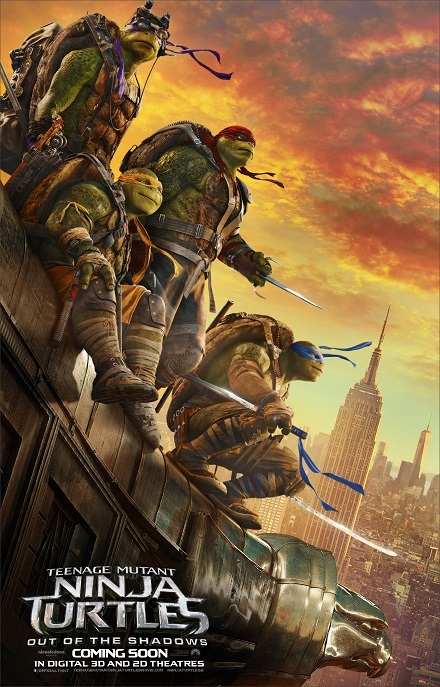 Paramount Pictures has revealed the new poster and trailer for “Teenage Mutant Ninja Turtles: Out of the Shadows”. The poster shows the Turtles in an unexpected, non-combatant pose. With an orange sky on the background, the setting is definitely either before or after the proverbial storm. While the trailer a total turnaround with the expected mix of high-octane bravado-filled scenes. 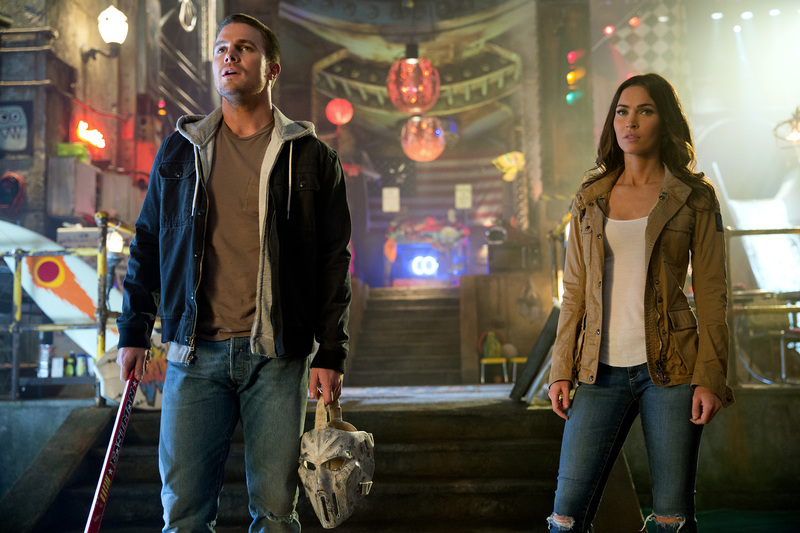 Michelangelo, Donatello, Leonardo, and Raphael return to cinemas this summer in “Teenage Mutant Ninja Turtles: Out of the Shadows” to battle bigger, badder villains, alongside April O’Neil (Megan Fox), Vern Fenwick (Will Arnett), and a newcomer: the hockey-masked vigilante Casey Jones (Stephen Amell). After supervillain Shredder escapes custody, he joins forces with mad scientist Baxter Stockman (Tyler Perry) and two dimwitted henchmen, Bebop (Gary Anthony Williams) and Rocksteady (WWE Superstar Stephen “Sheamus” Farrelly), to unleash a diabolical plan to take over the world. As the Turtles prepare to take on Shredder and his new crew, they find themselves facing an even greater evil with similar intentions: the notorious Krang.